Adrian Whelan recently spent time in New York, the first stop on the speaking trail was the UCITS & AIFMD for US Managers conference, which provided a forum to discuss various issues pertaining to regulated funds in Europe including Brexit (of course), the rise of substance requirements for management companies, and the ongoing challenges of distributing funds across EU borders. At the Irish Funds New York Seminar, Adrian moderated a panel on environmental, social, and governance (ESG) investing, which brought together perspectives from a diverse range of industry participants. 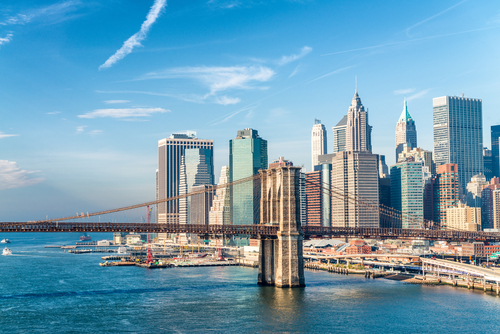 Here, Adrian provides his takeaways from an exciting week in New York, starting with key themes from the UCITS & AIFMD for US Managers conference. The UK is a key financial center in Europe for cross border asset management. Much of the EU’s thinking on asset management regulation either began in or has been influenced by the UK, including large elements of MiFID II. With Brexit, the highly influential UK leaves the EU table, which is likely having a disruptive effect on asset management regardless of any political deal, equivalency decisions, or extensions. Panelists exhorted US managers to apply to the UK’s Financial Conduct Authority’s Temporary Permissions Regime registration by the end of March 2019 or risk losing UCITS or MiFID II passporting licenses. In fact, all asset managers with a footprint in the UK should heed that warning. While MiFID II and PRIIPs are EU regulation, both have significant impact on US asset management. Cross border asset managers are finding it challenging to adhere to the divergent research unbundling disclosures set out by both the US Securities and Exchange Commission (SEC) and EU regulators. There was discussion about how the imposition of MiFID II and in particular the research unbundling regime took many US managers by surprise. So much so that the SEC was forced to take certain action with the publication of SEC no-action letters, which was acknowledged to be a short-term fix to a problem in need of a long-term remedy. The extraterritorial impact of EU regulations on US asset management is not confined to MiFID II or PRIIPs, either – GDPR and potential incoming rules on ESG were also mentioned. It is becoming increasingly evident that major EU regulations are influencing or establishing de facto global standards for firms operating globally. It was also noted that regardless of regulatory requirements, the US is taking a closer look at increasing transparency of investor costs. The SEC’s Regulation Best Interest includes the theme of cost transparency as a central goal. While regulation may be well-intentioned, often there are unintended consequences that aren’t discovered until implementation. One example we discussed was the mandatory PRIIPs KID pro forma which imposes a maximum length of three pages. Since printing these documents producers four pages, the extra blank page (spread across many instances) created a hiccup for managers trying to process them. Another example is the chosen methodologies used within both MiFID II and PRIIPS, such as the use of “arrival price” to derive slippage costs, the anomaly of negative transaction costs in PRIIPs, or predicting future net investment returns which diverge from the market norms. The panel agreed that it is likely that further amendments to PRIIPs are inevitable, since the adoption of the current ruleset to the UCITS marketplace could prove disorderly. The industry expects that regulators will continue to tweak, update, and refine these regulations and perhaps even produce a MiFID III or PRIIPs II. On the market impacts, it was suggested that many US asset management firms in scope for MiFID 2 unbundling are currently absorbing research costs rather than passing on to investors as commercially it is difficult to pass the charges on and operationally research payment accounts and accruals are very difficult in practice. There has been a contraction in number of investment research firms as cost factors bite. Unbundling is difficult or in fact impossible to apply to fixed income markets based on bid-ask spreads, this has not yet been addressed in MiFID II and is likely to see calls for a MiFID III. The transparency of fund costs and charges disclosures are adding momentum to the passive and low-cost funds. There is a greater scrutiny of active manage fees and of factors such as closet indexing by both investors and regulators in Europe and beyond. The irony is evidence shows retail investors are not really reading the disclosure documents and investor choice is reducing, these are the exact opposite of the intended consequences of MiFID II and PRIIPs. At the Irish Funds Seminar, I was moderator of a panel session on environmental, social, and governance (ESG) investing. One highlight was that investors have become increasingly intolerant of companies who fail to consider the ESG or socially responsible impacts. There is also now a greater understanding of the potential financial benefit of integrating ESG into the investment process. And as the industry continues to gather more ESG data, longer track records can help end investors make more informed decisions. While ESG may be considered a “hot topic,” the panel explained it is not new. ESG is going through a maturation process, focusing on agreed terminology and definitions. This is evidenced by the much improved and expanded ESG data sets and securities ratings – like those offered by Morningstar or FTSE — now making it possible to objectively measure what was once vague and highly subjective. Asset managers are moving beyond fundamental equity and integrating ESG into fixed income and quantitative strategies with growing sophistication. And high-profile governance failures have focused minds and money on looking at the sustainability of returns across all asset classes – helping the concept of ESG grow. The panel also touched on the continually increasing standardization and accuracy of ESG data as driving the continued growth of ESG utilization within the investment process. ESG screening has fast evolved from merely negative screening to identifying positive qualitative and quantitative traits of investable companies. ESG’s detractors suggest that data constraints remain such as lack of data for some securities or geographies, inconsistencies like the same security being given a different ESG score by a different rating agency and also that ESG data is “expensive,” however data is unquestionably the basis of ESG integration into the investment process. There was detailed discussion and assessment of the EU Commission’s proposed ESG ruleset. It was agreed that even though there are initiatives all across the globe, the EU seem to be charging ahead on ESG rule making. Like GDPR and MiFID II, these rules may also become the de facto global standard in this space. There has been praise and criticism from industry of the EU rules but what all seem in agreement on is that the EU ESG rules must be monitored closely as they will have a significant and long-term effect on the highly interconnected global asset management industry.